The career and personal lives of the iconic Motown group The Temptations take center stage in Ain’t Too Proud— The Life and Times of The Temptations. Directed and choreographed by the Jersey Boys team, the new bio-musical uses the beloved Temptations music to tell their journey from the streets of Detroit to the Rock & Roll Hall of Fame. Previews begin February 28 at the Imperial Theatre. Scroll on for a little YouTube spiral with the five young men starring in the show, Derrick Baskin, James Harkness, Jeremy Pope, Ephraim Sykes, & Jawan M. Jackson. Derrick previously appeared on Broadway as Gator in the Tony-winning musical Memphis. He also co-starred in Broadway’s The 25th Annual Putnam County Spelling Bee and The Little Mermaid, and off-Broadway’s Whorl Inside a Loop. He played Nate for three seasons on Hulu’s cult comedy Difficult People. This is James' sixth Broadway show. The actor, songwriter, and choreographer previously appeared in Broadway’s Beautiful, Aida, The Color Purple, Chicago & Guys and Dolls. He also toured with Dreamgirls. 2019 is the year of Jeremy Pope. The actor, singer, and photographer began the year making his Broadway debut leading MTC’s Choir Boy to great acclaim, and now he’ll immediately step into his second Broadway show in as many months. He previously starred in the off-Broadway musicals The View UpStairs and Invisible Thread. Ephraim is a two-time Astaire Award nominee and the standout dancer of Broadway’s Newsies, Memphis, Motown and Hamilton. He starred as Benny in Off-Broadway’s Rent and Seaweed on TV’s Hairpray Live!. He also appeared in HBO’s Vinyl and the film Detroit. 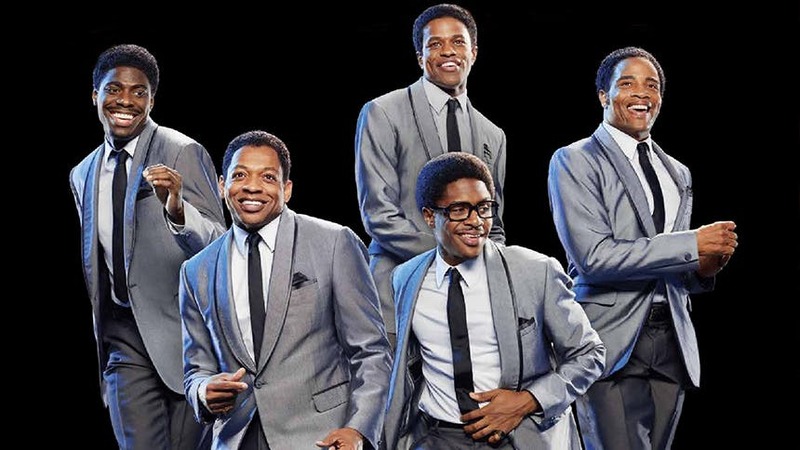 This is a breakout moment for Jawan, who made his Broadway debut in the ensemble of Motown. On TV, Jawan played E-Z Mike on Netflix’s stylish The Get Down. Ain’t Too Proud— The Life and Times of The Temptations begins previews at Broadway’s Imperial Theatre on February 28.